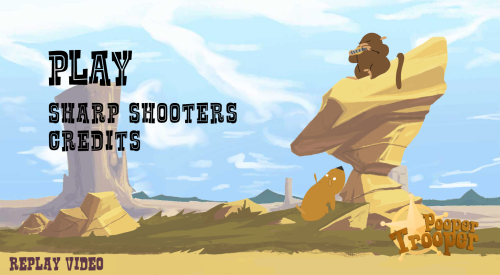 Description Pooper Trooper is a manic side-scrolling adventure of Wild West proportions! Take control of a monkey and his noble dog companion as they take on the western frontier together. Dodge cacti and rocks, jump deep crevasses, pick up bananas, swish through old western saloon doors, and throw monkey poop! Yee-ha!